In the past, homeowners have been limited by the materials available, restricted between timber and PVCu, one being difficult to maintain, the other quite bland in design. The Ultimate Composite door collection opens up a whole new world of design and choice for homes, providing the beauty of timber with the benefits of advanced GRP & PVCu with non of the drawbacks. The Ultimate Composite door will meet all of your requirements for Style, Colour, Security and adhering to all the latest building regulations. Suited stainless steel furniture (NEW from August 2012). 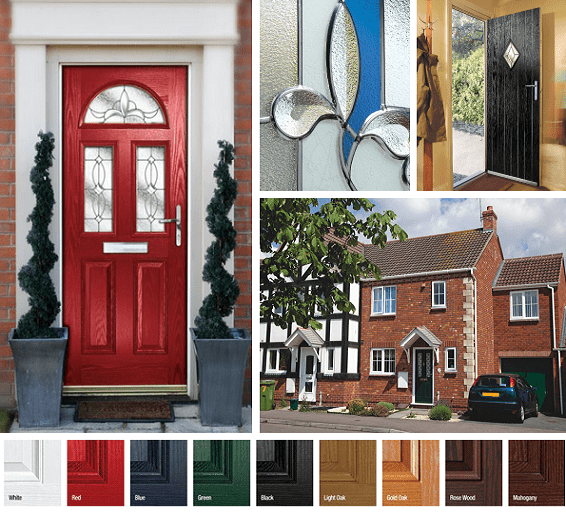 Huge range of door styles, colours, cassettes and glazing options. A range of the best multi-point door locks. Comprehensive 10 year guarantee on door and hardware. ERA and Yale electronic handle sets available. Every Ultimate Composite door can be custom made with a choice of 7 colours, 17 glazing options and 22 glass ranges, the possibilities will add up to thousands. There are many reasons why our range is called The Ultimate Collection, choice is just one of them. Whichever combination, the Ultimate Composite door will enhance homes with its elegant styling and will be a welcoming entrance for visitors for many years.